Billed by street-culture diva Big Red Cotton as the “last second line of the season,” the Uptown Swingers will roll through Freret, Milan and Central City starting at 1 p.m. Sunday. 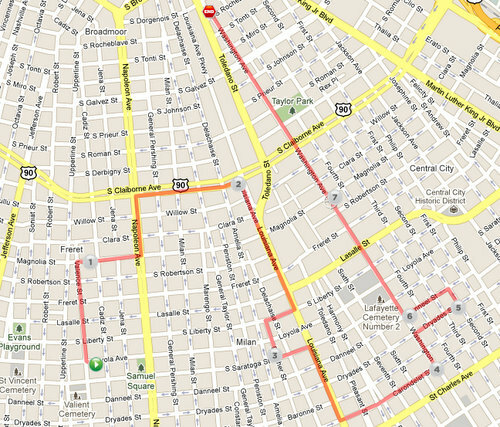 For turn-by-turn directions and video from 2010, see Cotton’s post at Gambit’s bestofneworleans.com. Thank you for posting these events! That’s great how the Uptown Swingers rolled through Freret, Milan, and Central City yesterday! They are a very talented second line.